Lungi Ngidi is one player from CSK who has made a mark this season. He was praised for his exceptional performance against team India last year. Lungi was included in the CSK team in the 2018 auctions at his base price of Rs 50 lakhs. Ngidi with his bother once sold groundnuts on the streets of South Africa. Lungi Ngidi made a crucial contribution to his team in the match against Kings XI Punjab and helped his team through a significant win. He did not allow any of the Punjab batsmen to free their hand and score runs. Batsmen like Chris Gaye, KL Rahul struggled a lot in Ngidi's spell and could not score easily. In his three-over spell, Ngidi gave away just 7 runs and took two wickets. The mandate for Punjab was to register a win 53 or more runs but they struggled to save their face and lost the match to Dhoni's army. There was a time when Lungi Ngidi used to sell groundnuts on the footpaths for his living. However, he is known for his exceptional bowling skills worldwide. He is playing in his first IPL this season, he could not participate in the initial matches because of a huge personal loss he suffered with. His father died recently. Lungi has 9 wickets in 5 matches in his name. This has been his best bowling performance. He made his test debut against India and would like to continue his amazing form further. 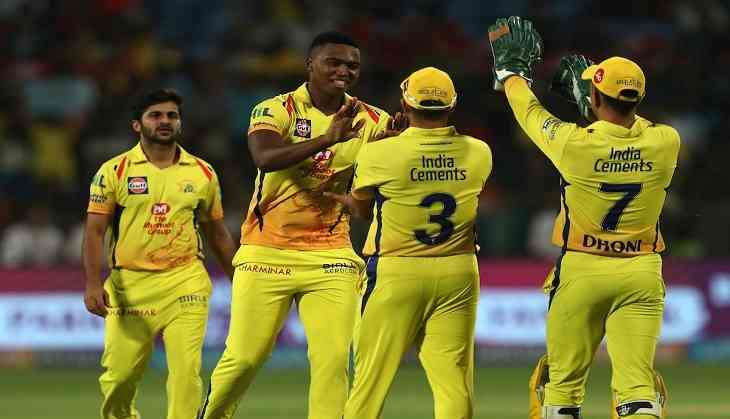 With a team of players well-versed with batting, CSK's real concern is their bowling attack and all the eyes would be on Ngidi to take care of CSK's bowling.